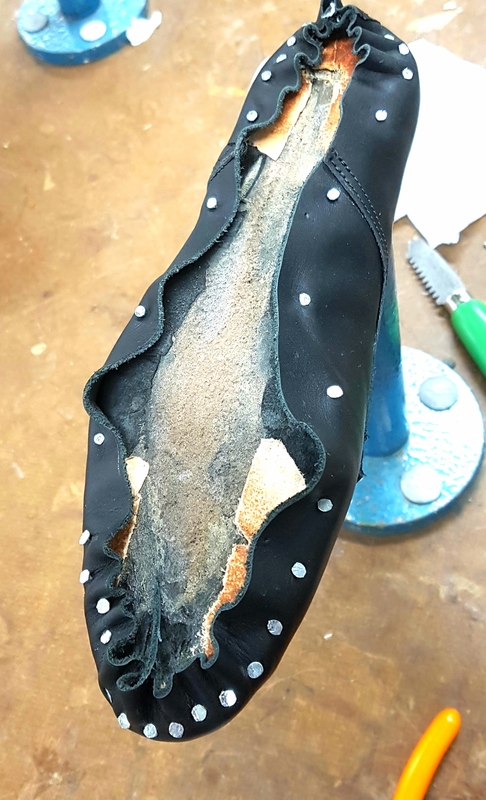 Making Shoes to last- What does it take? 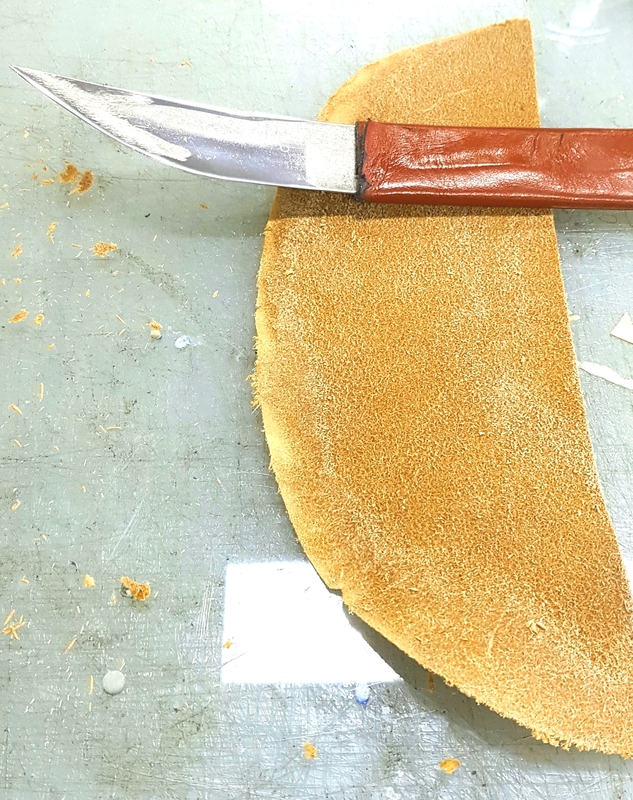 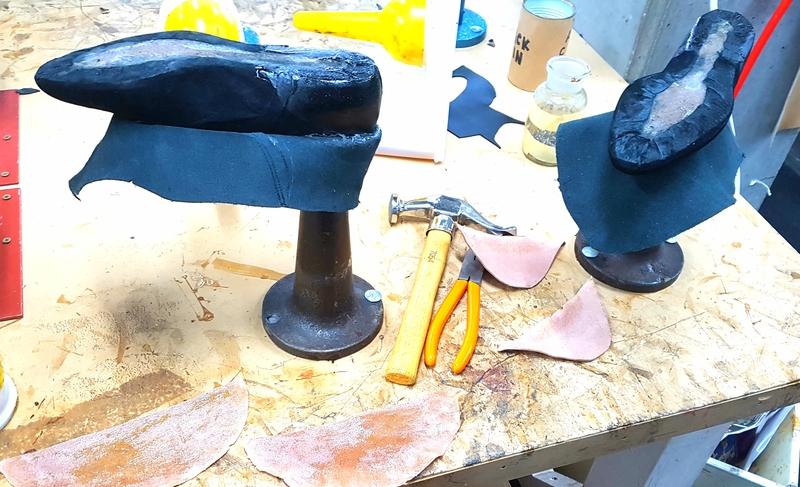 Over the last 5 months during this RMIT Cert IV Custom Footwear Design course, we have learnt how much effort, time and skill it takes to create a shoe that will serve its owner well. 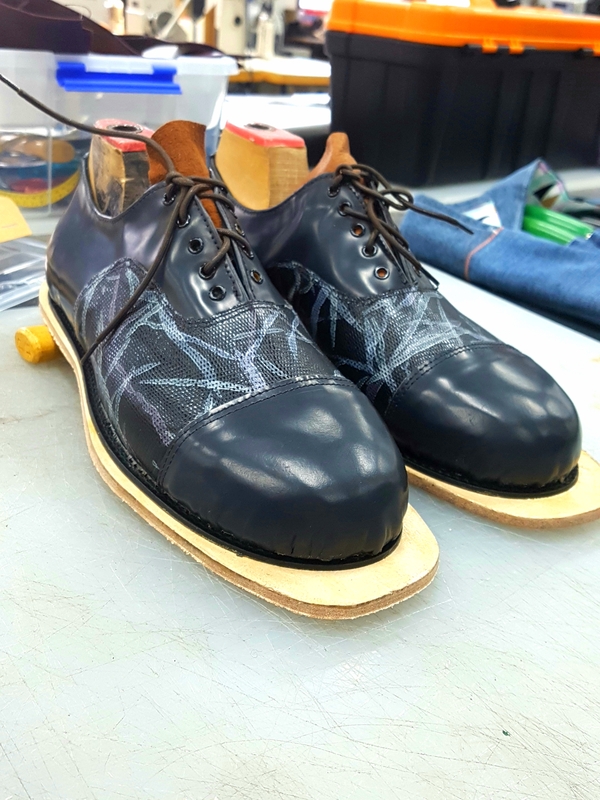 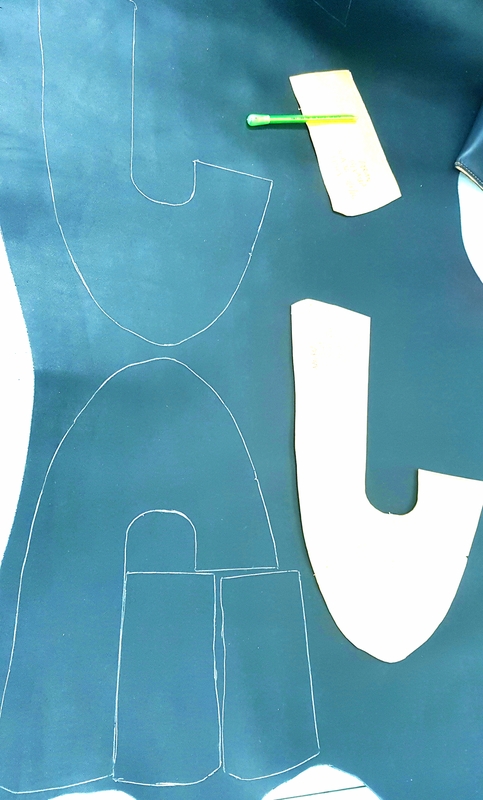 The skills we have had to practice have varied from sewing, drafting, lasting, pattern making, folding, skiving, soling, grinding, gluing, drawing, re-enforcing, patching, tacking, cutting and sharpening just to name a few. 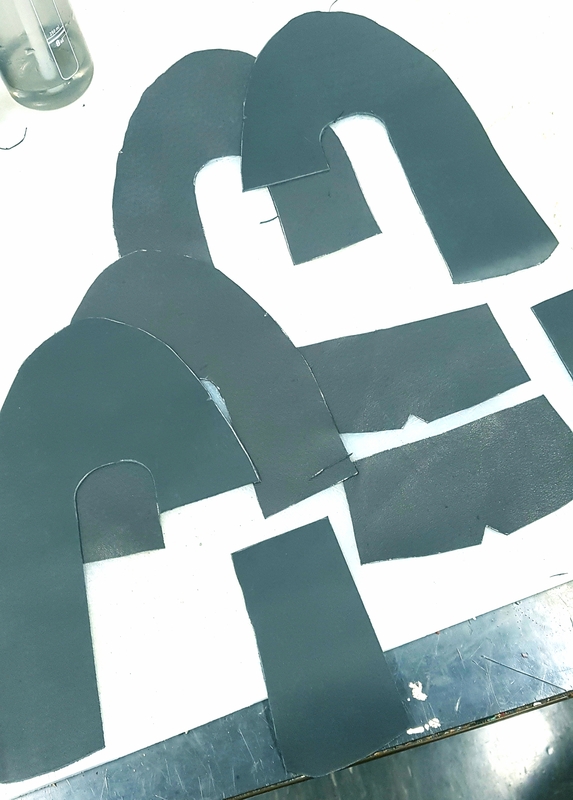 Part two of this course, gives us the freedom to expand and explore our own personal designs based on such a small snippet of a skill which takes years to fully master. 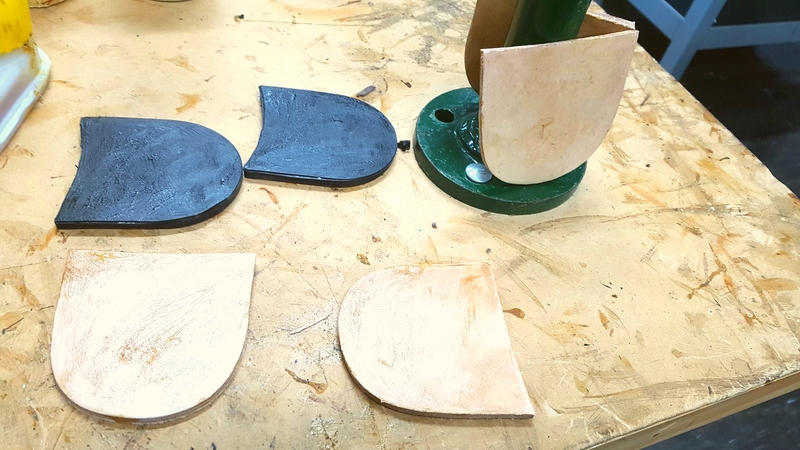 Students get the opportunity to be creative and prototype their final product. 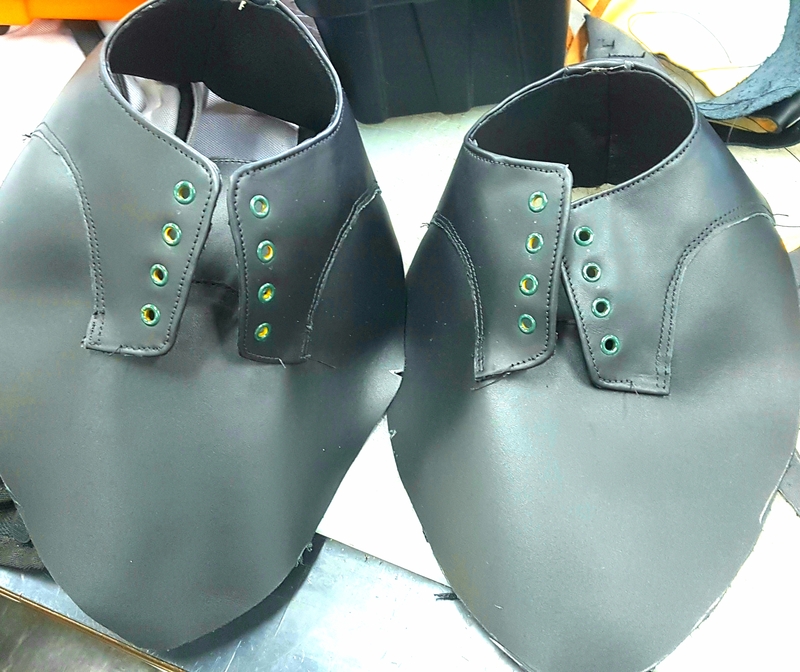 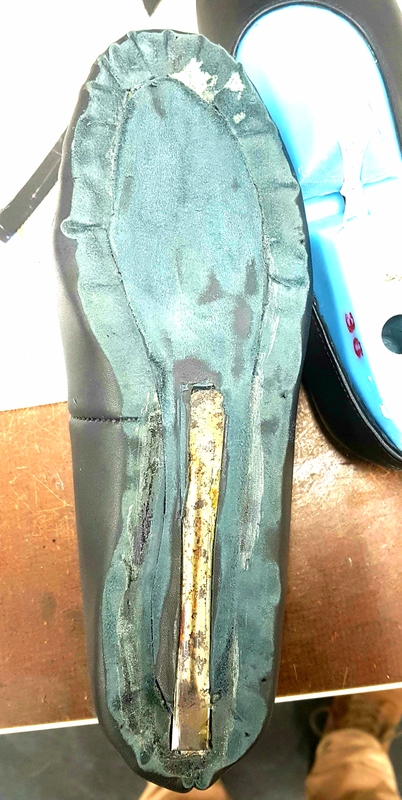 So, after making a prescribed three shoes and two sandals; we are given a creative licence with materials, colors, design, construction and style and asked to come up with a shoe with our own signature brand. 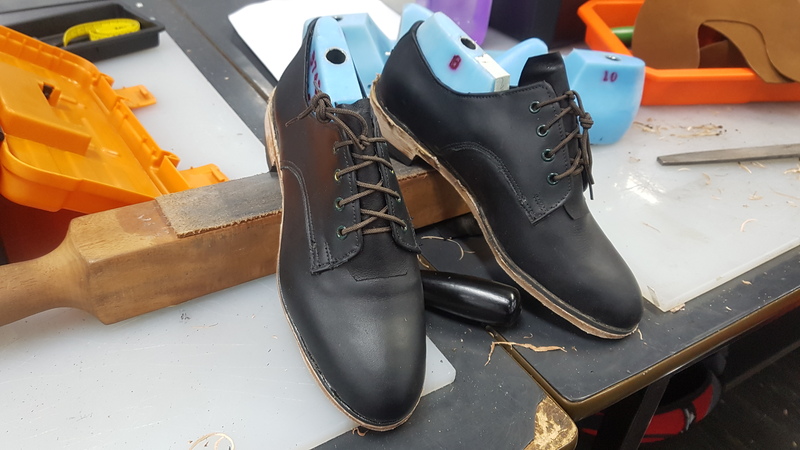 I honestly want to do it all, learn it all and pick the brain of our course coordinator, Andrew, to continue to learn the different styles of footwear manufacturing and techniques. 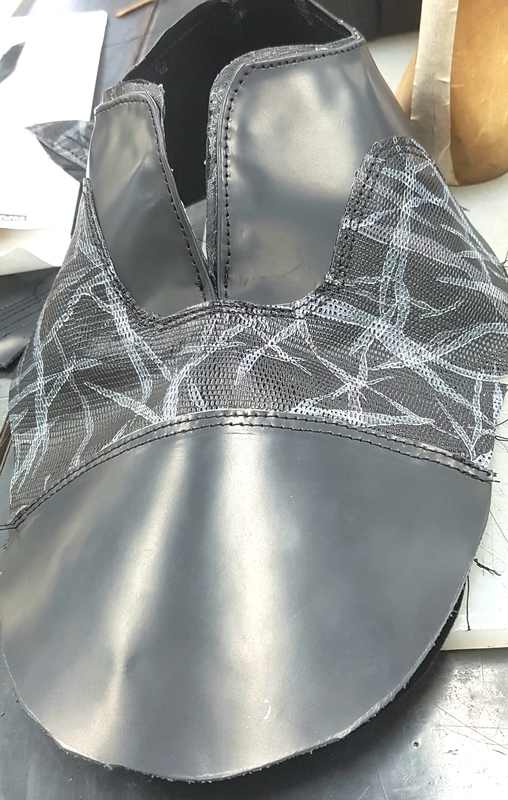 I’m hoping to design and create a shoe which captures the imagination and has a ‘wow’ factor to it. 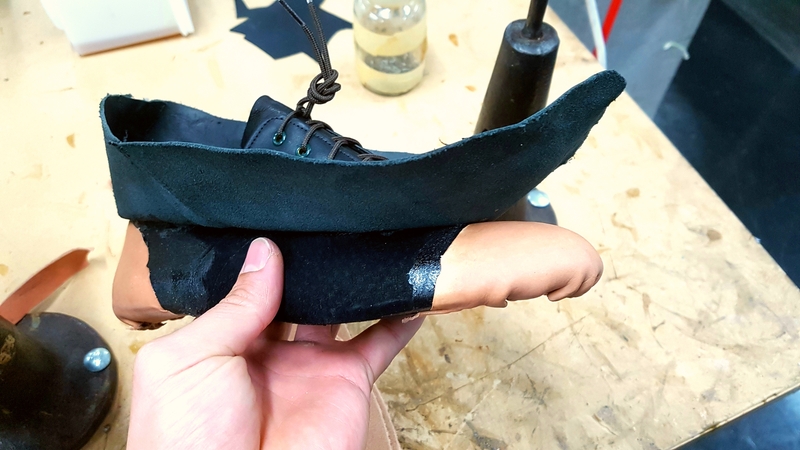 I digress, here is a gallery/log of some of the last five months of manufacturing and construction that are important in creating long lasting footwear.